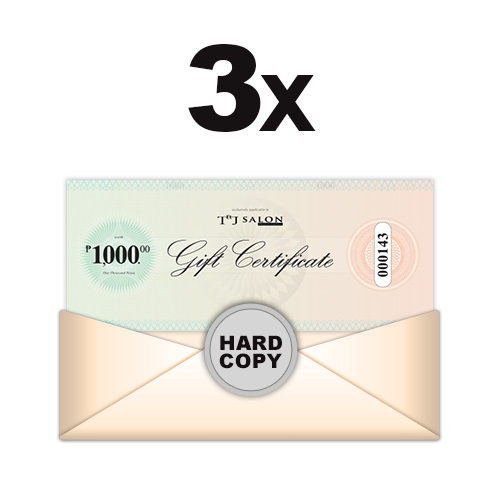 3D Rebonding or Setting/Digital Perm 2500Kera Protein Treatment 1200Haircut 200total3900 SAVE 6..
Alpha-Amino Acid Rebonding or Setting/Digital Perm 6000Resque 911 (Hair Therapy) 3000Haircut ..
Alpha-Amino Acid Rebonding or Setting / Digital Perm 6000Pro Hair Coating 2000Resque 911 3000Haircut 200t..
Alpha-Amino Acid Rebonding 6000Alpha-Amino Acid Setting / Digital Perm 6000Resque 911 30..
Alpha-Amino Acid Rebonding 6000Alpha-Amino Acid Setting / Digital Perm 6000Resque 911 20.. 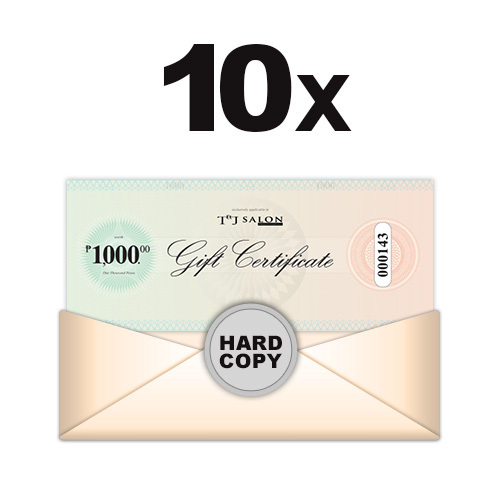 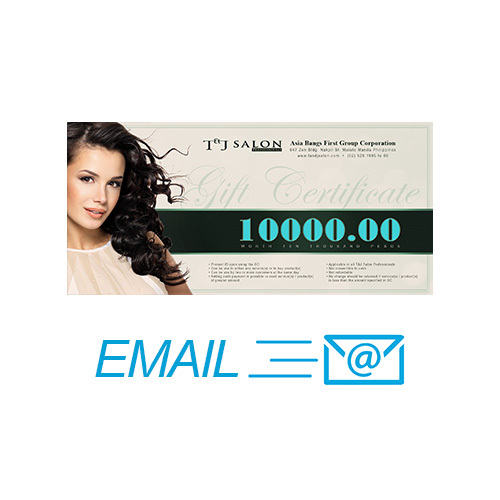 Gift Certificate worth P1,000 for T&J Salon Professionals with 5% 0FF NOTE: .. 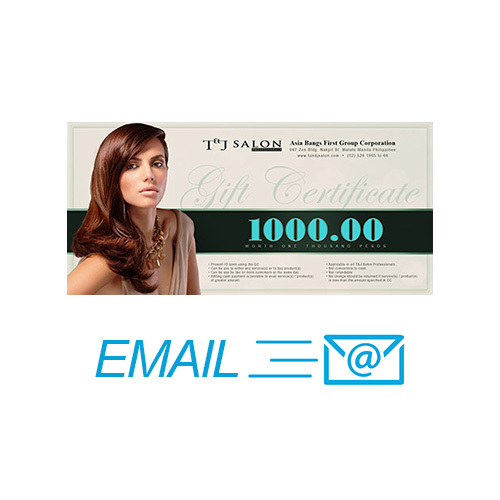 Gift Certificate worth P10,000 for T&J Salon Professionals with 5% 0FF NOTE: &nbs.. Gift Certificate worth P15,000 for T&J Salon Professionals with 5% 0FF NOTE: &nbs.. 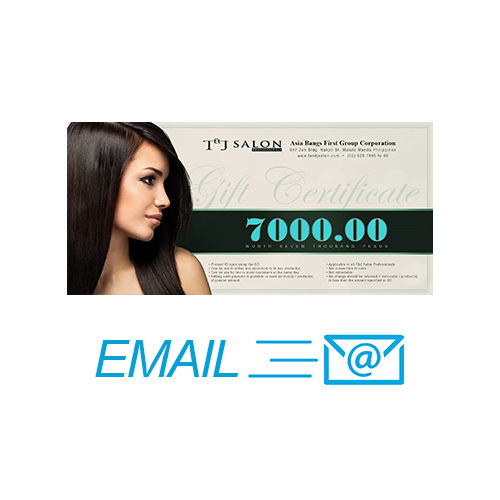 Gift Certificate worth P2,000 for T&J Salon Professionals with 5% 0FF NOTE: .. Gift Certificate worth P3,000 for T&J Salon Professionals with 5% 0FF NOTE: .. 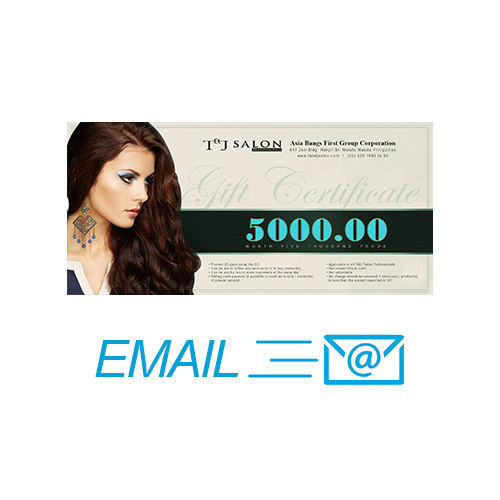 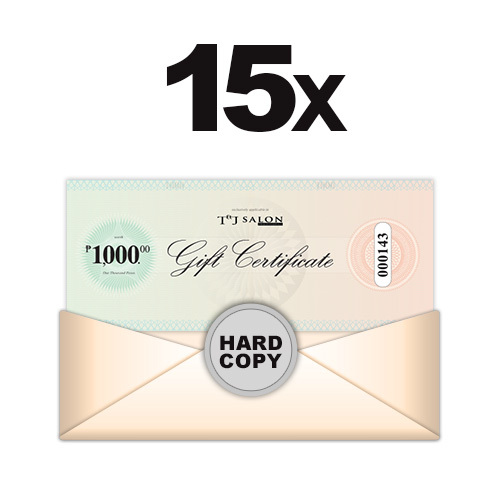 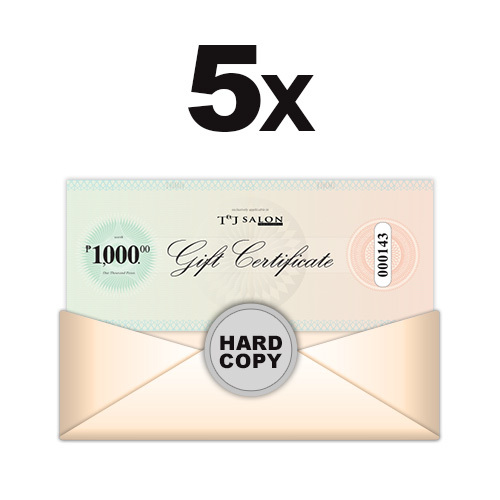 Gift Certificate worth P5,000 for T&J Salon Professionals with 5% 0FF NOTE: .. 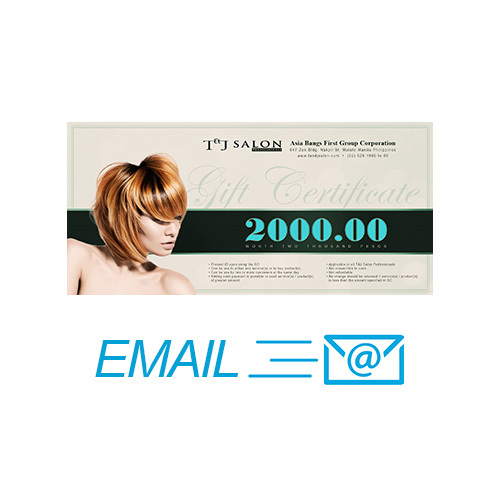 Gift Certificate worth P7,000 for T&J Salon Professionals with 5% 0FF NOTE: ..
Kera-Protein Treament 1200Haircut 200total1400 SAVE 28% now only P 1000.00 NOTE: Valid for (1) month from the date ..
Resque 911 (Hair Therapy) 3000Haircut 200total3200 SAVE 53% now only P 1,500.00 NOTE: Valid for (1) month from the date of purchased.Strictly applicable in T&J SALON PROFESSIONALS branches .. 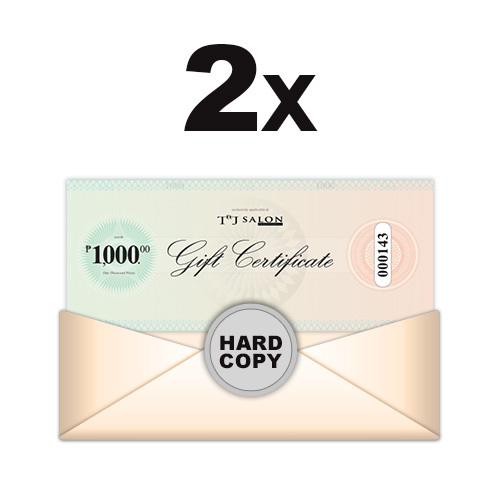 Hair Color 2500Pro Hair Coating 2000Haircut .. 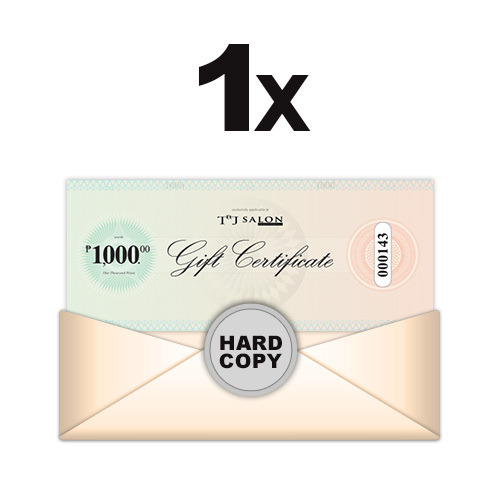 Hair Color 2500Resque 911 3000Haircut ..
X-tenso L'Oreal Rebonding or Setting/Digital Perm 4000 Kera Protein Treatment 1200 Haircut 200 total5400 SAVE 5..